My work as a web designer became more meaningful when I became involved with web accessibility. I found using design to address issues facing people with disabilities more rewarding than focusing on aesthetic concerns of flash and visual impact. And in learning more about universal design in other disciplines, I learned that accessibility and good design go hand in hand. When I first became aware of web accessibility much of the attention was in the form of guidelines and best practices. I was interested in integrating accessibility into design rather than considering it as an afterthought or as part of a validation process. All too often, accessibility is brought to the table at the end of the design cycle. Usability through user-centered design was also gaining a foothold in the years leading up to Access by Design . Slowly but surely, design requirements for web sites and applications were being defined by user needs rather than the preferences of those making design (or business) decisions. 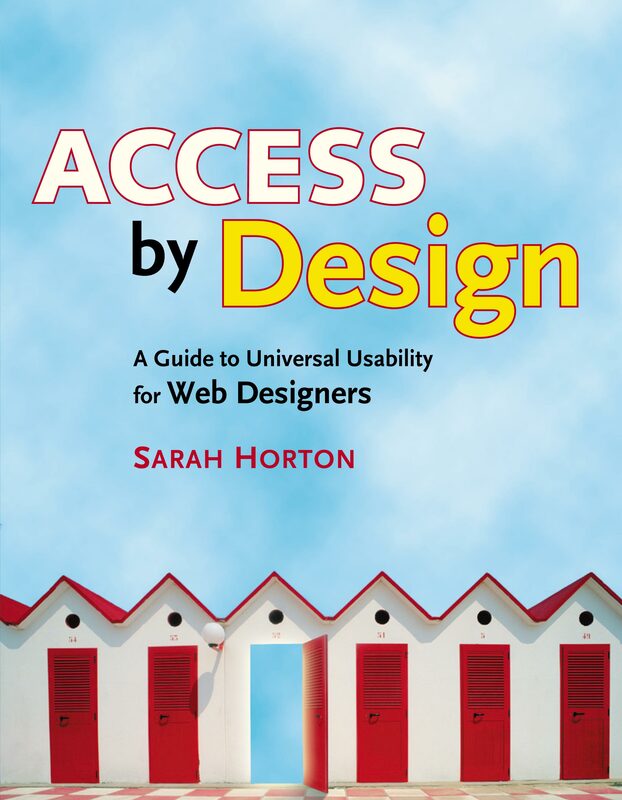 Access by Design integrates concerns for usability, accessibility, and universal design into a design methodology—universal usability. Human-computer interaction pioneer Ben Shneiderman defines universal usability as “enabling all citizens to succeed using communication and information technology in their tasks.” My goal in writing Access by Design was to provide practicing user experience professionals with a toolkit for achieving universal usability on the web. As with Web Style Guide, the complete text and illustrations from Access by Design is online, along with additional resources to support further exploration and understanding.